Close to 100 residents turned out for Central Saanich’s public hearing on Dec. 5 regarding a possible change in the bylaw that regulates the selling of compost. The bylaw change would allow farmers who own Agricultural Land Reserve land to sell up to 50 per cent of the compost generated on their farms. Currently the municipality’s bylaw does not allow the sale of compost, although neither North Saanich nor Saanich have bylaws that restrict the sale of compost. Out of the almost 100 attendees at the public hearing 39 spoke, including people who spoke more than once. Concerns over noise, odour and traffic were raised by residents, most of whom who lived near Stanhope or Vantrieght Farms. Several speakers voiced their concerns over whether large-scale composting was an appropriate farm practice. “I do not believe (composting like this) is a normal farm practice,” said Central Saanich resident Mike Stanley. Stanley added he felt it was a laudable goal for the municipality to try and come up with a way to help increase the economic base of farmers but that large-scale composting was not the way to do it. 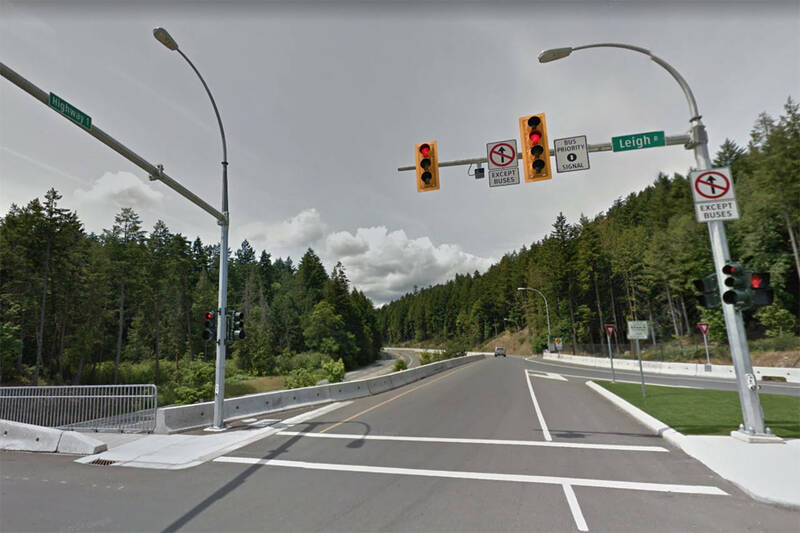 Many other residents voiced concern over the increase in traffic on Lochside Trail. “I am against the idea of turning Lochside Trail into a truck route,” said resident Gordon Politeski. Two of the most spoken about farms — Vantreight and Stanhope – were both represented at the meeting. “This decision will not stop our farm from composting nor would it stop us from expanding because the amount of land we have makes it viable for use to use the compost we produce,” explained Ryan Vantreight, who insisted that in every practice there’s those who abide by the rules and those who don’t. Vantreight Farms has been a family business for decades and Vantreight noted that it is important for them to find new ways of expanding their economic base. “I got into farming because it was a family business but I stay in it because I love it,” Vantreight said, adding that in order for their business to maintain or grow they need to find ways to diversify. “The future of farming has got to have an open mind,” he said. Central Saanich limited the sale of compost in 2002. A decision on the bylaw could be made at the Dec. 17 council meeting.